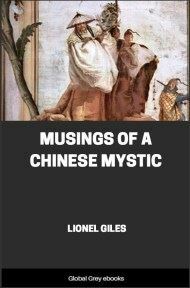 This book was published before the author went to live in Japan and he admits, in his notes at the end of the book, to basing these stories on translations of Chinese tales by early Orientalists. So maybe not as informed as Hearns later books, but still an enjoyable read. 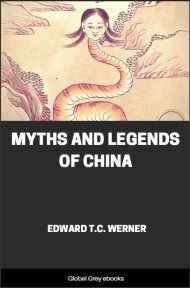 The stories are: The Soul of the Great Bell; The Story of Ming-Y; The Legend of Tchi-Niu; The Return of Yen-Tchin-King; The Tradition of the Tea-Plant; and, The Tale of the Porcelain-God. The water-clock marks the hour in the Ta-chung sz',—in the Tower of the Great Bell: now the mallet is lifted to smite the lips of the metal monster,—the vast lips inscribed with Buddhist texts from the sacred Fa-hwa-King, from the chapters of the holy Ling-yen-King! Hear the great bell responding!—how mighty her voice, though tongueless!—KO-NGAI! All the little dragons on the high-tilted eaves of the green roofs shiver to the tips of their gilded tails under that deep wave of sound; all the porcelain gargoyles tremble on their carven perches; all the hundred little bells of the pagodas quiver with desire to speak. KO-NGAI!—all the green-and-gold tiles of the temple are vibrating; the wooden goldfish above them are writhing against the sky; the uplifted finger of Fo shakes high over the heads of the worshippers through the blue fog of incense! KO-NGAI!—What a thunder tone was that! All the lacquered goblins on the palace cornices wriggle their fire-colored tongues! And after each huge shock, how wondrous the multiple echo and the great golden moan and, at last, the sudden sibilant sobbing in the ears when the immense tone faints away in broken whispers of silver,—as though a woman should whisper, "Hiai!" Even so the great bell hath sounded every day for well-nigh five hundred years,—Ko-Ngai: first with stupendous clang, then with immeasurable moan of gold, then with silver murmuring of "Hiai!" And there is not a child in all the many-colored ways of the old Chinese city who does not know the story of the great bell,—who cannot tell you why the great bell says Ko-Ngai and Hiai! Now, this is the story of the great bell in the Ta-chung sz', as the same is related in the Pe-Hiao-Tou-Choue, written by the learned Yu-Pao-Tchen, of the City of Kwang-tchau-fu. Nearly five hundred years ago the Celestially August, the Son of Heaven, Yong-Lo, of the "Illustrious," or Ming, dynasty, commanded the worthy official Kouan-Yu that he should have a bell made of such size that the sound thereof might be heard for one hundred li. And he further ordained that the voice of the bell should be strengthened with brass, and deepened with gold, and sweetened with silver; and that the face and the great lips of it should be graven with blessed sayings from the sacred books, and that it should be suspended in the centre of the imperial capital, to sound through all the many-colored ways of the City of Pe-king. Therefore the worthy mandarin Kouan-Yu assembled the master-moulders and the renowned bellsmiths of the empire, and all men of great repute and cunning in foundry work; and they measured the materials for the alloy, and treated them skilfully, and prepared the moulds, the fires, the instruments, and the monstrous melting-pot for fusing the metal. And they labored exceedingly, like giants,—neglecting only rest and sleep and the comforts of life; toiling both night and day in obedience to Kouan-Yu, and striving in all things to do the behest of the Son of Heaven. But when the metal had been cast, and the earthen mould separated from the glowing casting, it was discovered that, despite their great labor and ceaseless care, the result was void of worth; for the metals had rebelled one against the other,—the gold had scorned alliance with the brass, the silver would not mingle with the molten iron. Therefore the moulds had to be once more prepared, and the fires rekindled, and the metal remelted, and all the work tediously and toilsomely repeated. The Son of Heaven heard, and was angry, but spake nothing. "From the Mighty Yong-Lo, the Sublime Tait-Sung, the Celestial and August,—whose reign is called 'Ming,'—to Kouan-Yu the Fuh-yin: Twice thou hast betrayed the trust we have deigned graciously to place in thee; if thou fail a third time in fulfilling our command, thy head shall be severed from thy neck. Tremble, and obey!" Now, Kouan-Yu had a daughter of dazzling loveliness, whose name—Ko-Ngai—was ever in the mouths of poets, and whose heart was even more beautiful than her face. Ko-Ngai loved her father with such love that she had refused a hundred worthy suitors rather than make his home desolate by her absence; and when she had seen the awful yellow missive, sealed with the Dragon-Seal, she fainted away with fear for her father's sake. And when her senses and her strength returned to her, she could not rest or sleep for thinking of her parent's danger, until she had secretly sold some of her jewels, and with the money so obtained had hastened to an astrologer, and paid him a great price to advise her by what means her father might be saved from the peril impending over him. 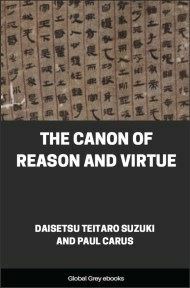 So the astrologer made observations of the heavens, and marked the aspect of the Silver Stream (which we call the Milky Way), and examined the signs of the Zodiac,—the Hwang-tao, or Yellow Road,—and consulted the table of the Five Hin, or Principles of the Universe, and the mystical books of the alchemists.